The Medical Center’s seasonal nature and our highly personalized medical care services cause us to operate at a significant annual deficit. As a result the Medical Center Founders Society was established in 1994 to provide an endowment fund to ensure the economic viability of the Medical Center’s operation. Since 1994, more than 600 residents in our community have become members of the Founders Society by agreeing to contribute a minimum of $25,000. In addition, many have made additional contributions to become Super Founders ($50,000+), Lead Donors ($100,000+), Cornerstone Donors ($250,000+), Guardian ($500,000+) and Guardian Trustee ($1,000,000+). 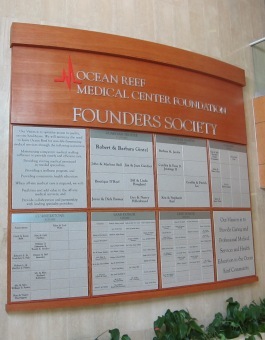 All Founders are recognized with an inscription of their names in the Medical Center Lobby and participate in our Founders Society benefits program. Pledges may be completed over a five(5) year period, be accelerated or be in the form of securities. The Founders Society is open to all members of the Ocean Reef Community and we urge you to participate. You will be supporting an absolutely indispensable facility for the Community and a safety net for your own healthcare needs. With our Medical Center for “on the Reef care” and our Founders Benefits, we believe our Founders Society Members have the best medical protection package in the world. For more information about the Founders Society, including a list of current members and information on how you can become a member, click on the Founders Society dropdown menu at the top of the page. Ocean Reef Hospitalists: Personalized access to Homestead Hospital and Baptist Hospital (main campus) on Kendall Drive through the on-site Ocean Reef hospitalist program. In the event of an emergency visit to either of these hospitals the Ocean Reef hospitalist will facilitate your emergency room visit in a number of ways. Ocean Reef Healthnetwork: This service provides priority access to an extensive network of America’s top hospitals to help with researching, networking and arranging your care. 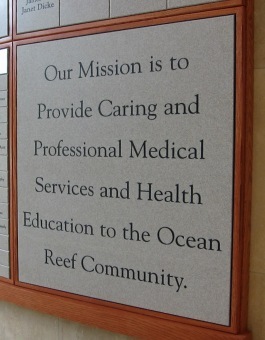 As a member of the Founders Society you are enrolled free of charge in the Ocean Reef Healthnet basic service. Founder level members may elect to support the Healthnetwork Foundation through their GOLD card program. Founders Society members who have achieved Super Founder donor status by giving or pledging a minimum of $50,000.00 to the Ocean Reef Medical Center Foundation are automatically upgraded to GOLD status. Global Rescue: Medical Center Founders Society members receive a significant discount on a Global Rescue Membership. 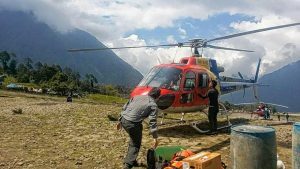 Global Rescue provides field rescue, medical and security advisory and evacuation services around the clock, wherever you travel. Whether you require hospitalization, a consultation with a doctor, or pre-trip intelligence about your destination, Global Rescue offers a full suite of services designed to help you travel safely. Click here for more information. For further information on becoming a Founding Member, please contact Jenny Rigby via email or by calling 305-367-6707.